You’ve taken care to find artist-made jewelry pieces that perfectly complement your unique style and personality—now to make them last. But where to start? The internet is rife with competing information about how to best care for different metals and gemstones, from proper storage to cleaning practices and everything in between. 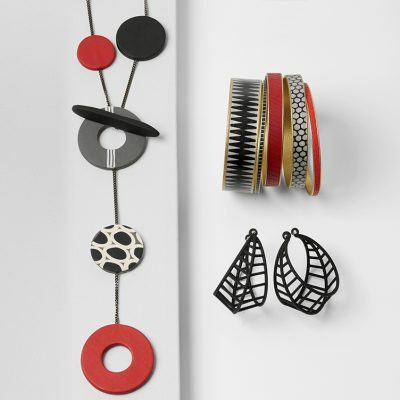 To cut through the noise, we consulted some of the talented jewelry artists who sell their work through Artful Home, asking for their expert dos and don’ts on how to ensure your extraordinary treasure can remain a beloved keepsake for years to come. Long associated with moonlight in folklore across the world, silver is one of the most commonly used metals in jewelry making. In its purest form, the element is incredibly soft; even the finest jeweler’s silver is an alloy, or a combination of metals intended to increase hardness and durability. Arguably the best known of these is sterling, or 925 silver, an alloy composed of 92.5% silver by weight and 7.5% of another metal, typically copper. 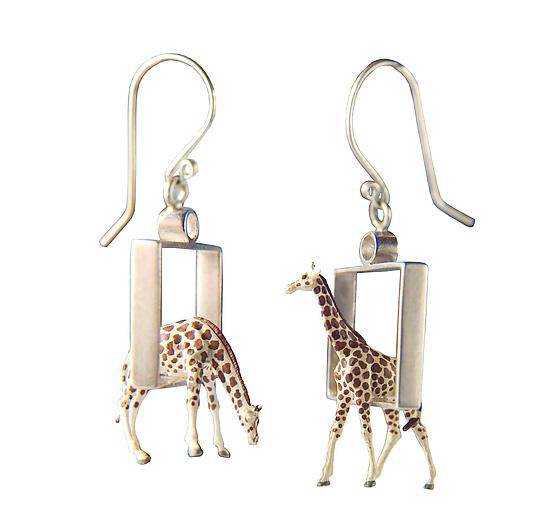 Kristin Lora’s Giraffes in Squares Earrings, which feature tiny giraffes in bright sterling silver squares. While that mixture of metals increases sterling’s wearability, it also increases the likelihood of tarnish, especially on the surface of a piece with a bright finish, as air reacts with the other metals in the alloy. Fortunately, tarnish is easy to remove, provided it’s not allowed to accumulate for too long. For regular maintenance, jewelry artist Kristin Lora recommends a simple jewelry dip cleaner like Tarn-X (she prefers the liquid cleaner over the cream-based formula). Follow package instructions, then polish your piece with a soft cloth until dry. 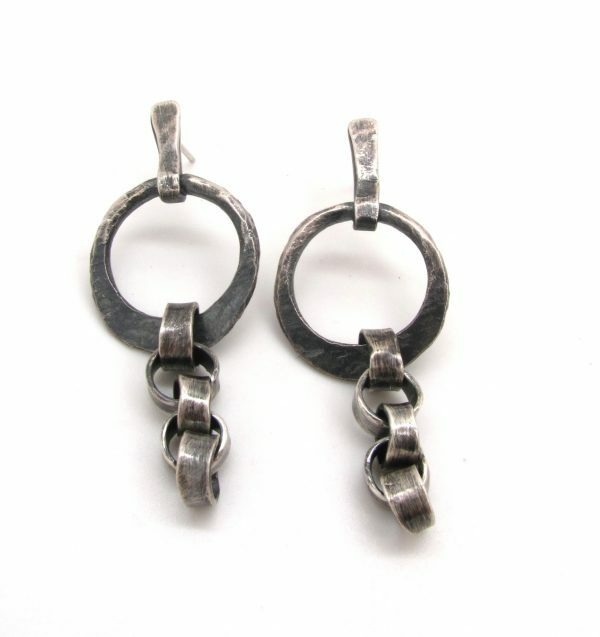 Lauren Passenti’s Irregular Chain Link Earrings have a rich texture accentuated with an oxidized finish. 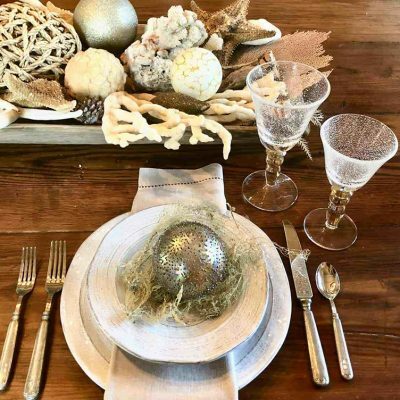 What works for one silver finish, though, may not work for all—in fact, the above process should be avoided entirely when cleaning oxidized silver pieces, or jewelry given a darkened finish via exposure to sulfides. To avoid stripping the patina from your adornment, stay away from the standard jewelry cleaners and instead soak your piece in a bowl of warm, soapy water for about 20 minutes, allowing any dirt to rise to the surface of the solution. Remove and gently dry with a soft cloth—do not rub vigorously, as you may risk removing the patina. Because silver is prone to oxidization, it’s a good idea to store your pieces in airtight pouches as a preventative measure: zip-top plastic bags work well, say internet sources, while Lora suggests simply storing your jewelry with anti-tarnish strips. 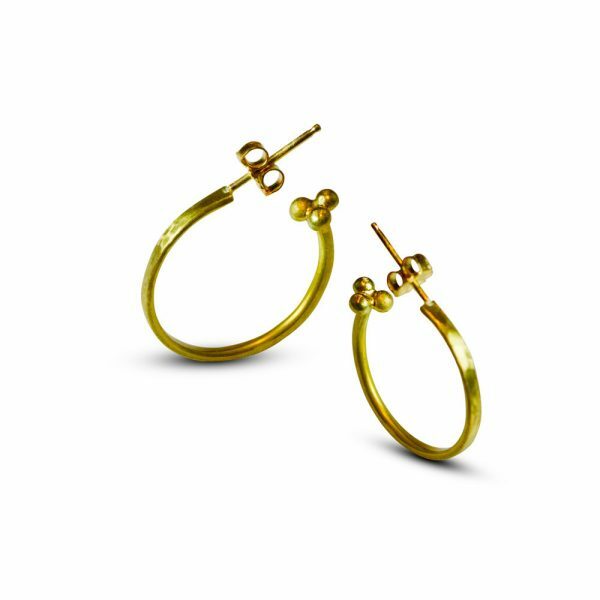 Crafted from 22k gold, Nancy Troske’s Hammered Roman Hoop Earrings have a captivating gleam. 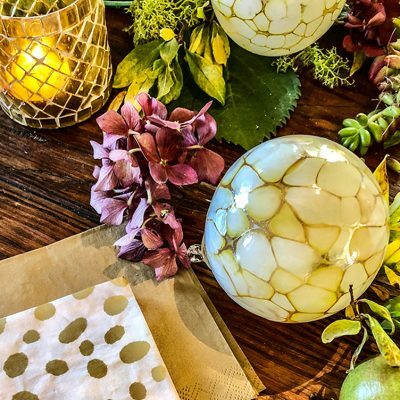 A noble metal in more ways than one, gold has been prized for millennia for its regal look, warm glow, and resistance to tarnish—qualities that make the metal especially coveted for gemstone settings and intricate designs. Those nooks and crannies, though, are where dirt and oils are likely to collect. To rid your piece of grit and grime, goldsmith Nancy Troske recommends using a cleaning solution designed for gold and silver jewelry, which works to dissolve stray dirt particles. Following package instructions, gently scrub with a soft-bristled brush, and use a polishing cloth (both tools are typically included in a jewelry cleaning kit) to bring back the piece’s gleam. Troske cautions, however, to avoid cleaners that contain ammonia, which may be harmful to gold and gold-plated jewelry. Troske recommends using a polishing cloth after cleaning to restore gold’s elegant luster. 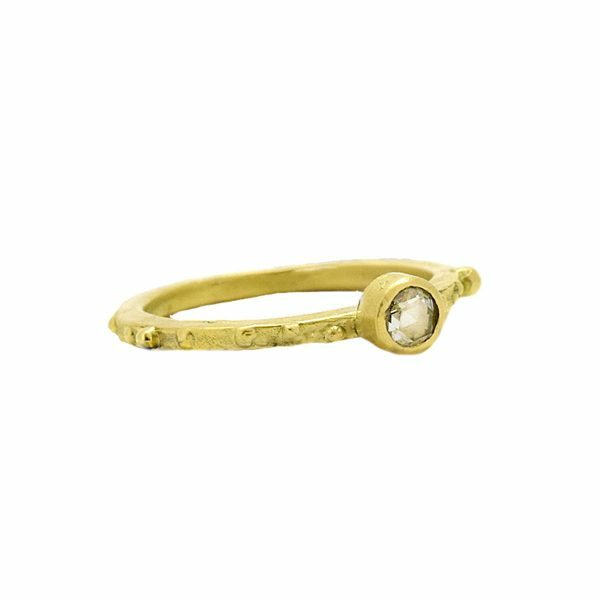 Because gold is a soft metal, it may be prone to fine scratches—a “patina” that Troske says can look “very nice.” If this softer gIow doesn’t strike your fancy, the artist recommends bringing your solid-gold piece to a professional jeweler to have it polished and restored to a like-new luster. Want to revive a gold-plated piece? Troske says a professional jeweler may have to re-plate your piece, should its lustrous layer see some wear. While gold is resistant to tarnish, that doesn’t mean it’s immune to it; Troske says that the imperceptible amount of oxidization that may occur on your piece can be easily removed with a polishing cloth. Take special care when cleaning and accessorizing with gold-leaf and keum-bo jewelry, as both are more susceptible to wear than solid-gold pieces. 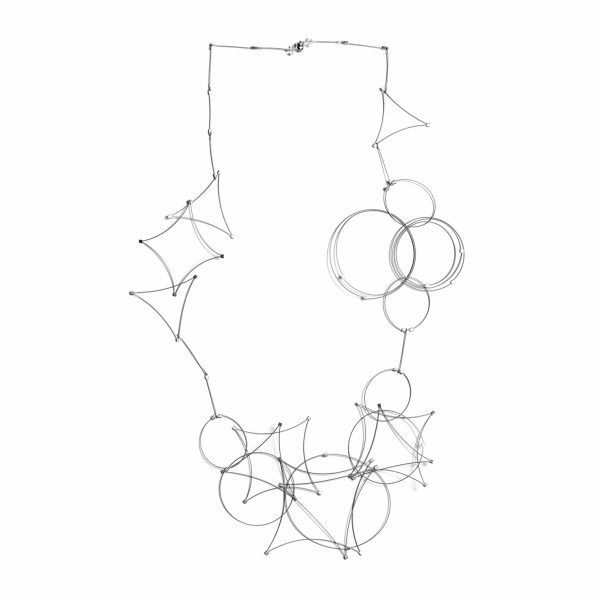 Catherine Iskiw’s Simplicity Pendant reveals the lovely white gleam of platinum. Platinum has long been coveted in jewelry making for its brilliant glow, hypoallergenic properties, and resistance to corrosion and oxidization. The metal has a dense structure, which makes it incredibly sturdy—and, therefore, easy to clean. Simply use a jeweler’s cleaning solution formulated for gold and platinum care, or gently scrub with a mixture of soap and water. Allow to dry completely before storing. 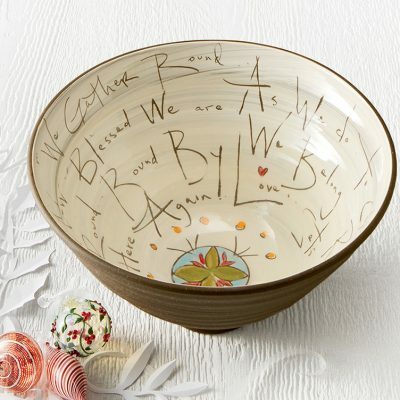 Despite the metal’s sturdiness, it may develop fine scratches over time that will create the look of a subtle patina. Should you wish to restore its incandescent gleam, consider bringing your piece to a professional jeweler to have the piece buffed. Because of the metal’s properties, it can discolor, or stain, when it comes into contact with jeweler’s tools previously used on gold. Should you need your piece repaired or sized, confirm that your jeweler has a set of tools dedicated to platinum work. And be prepared to spend a few more dollars: platinum has a higher melting point than other metals and often requires a bit more labor. Metals like rhodium and palladium are members of the platinum family and can be cleaned in a fashion similar to platinum. Featuring a rose-cut diamond, Lori Kaplan’s Diamond Lorelei Ring captivates with its brilliant sparkle. The fiery sparkle of diamonds has the ability to captivate like nothing else. Owing to its incomparable hardness—it’s the hardest naturally occurring substance on earth—the diamond has become the traditional centerpiece gemstone for engagement and wedding rings. The gemstone’s natural toughness means it’s also relatively easy to clean: simply use dish soap and water, and gently scrub with a very soft toothbrush, says jewelry artist Lori Kaplan. She says that Windex or a diluted solution of water and white vinegar may also be used. Diamonds may be incredibly tough, but they’re not impervious to damage. Pay special care when wearing, as the stone can still accumulate chips and develop fractures. 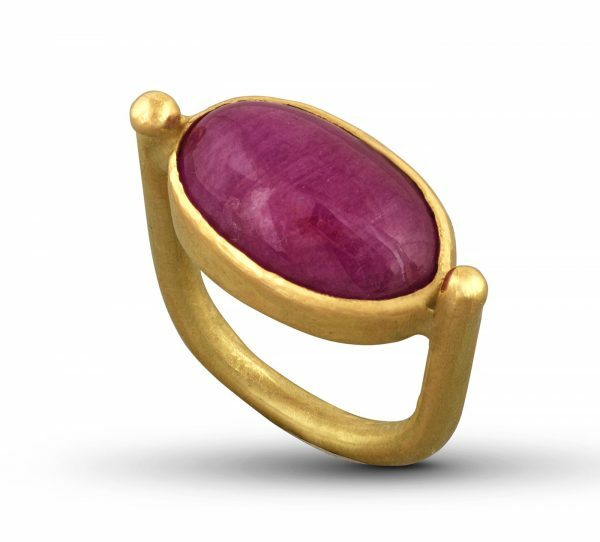 Rubies, like the one featured in Kaplan’s Greek Ruby Ring, are a harder stone than most and can be cleaned in a similar fashion to diamonds. Like diamonds, hard gemstones, such as rubies and sapphires (two varieties of the mineral corundum), are harder in nature and may be cleaned with Kaplan’s recommended treatments of Windex or a water-vinegar solution. But, the jewelry artist cautions, all gemstones are not created equally, and some require far more care. 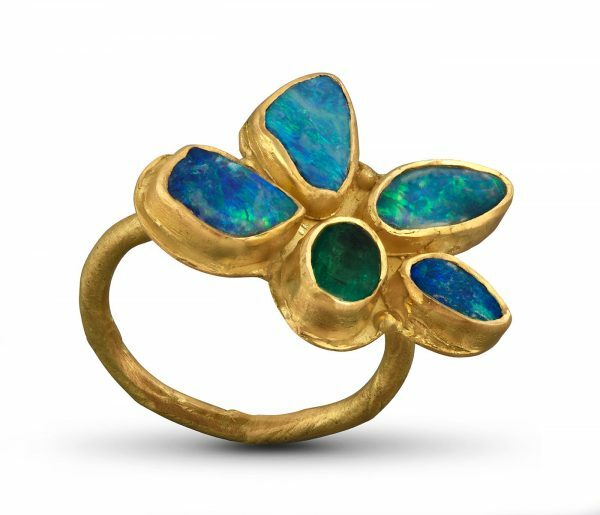 Both the opals and emerald in Lori Kaplan’s Opal Emerald Flower Ring should be cleaned with care. Softer stones, such as opals and emeralds, should only be cleaned with a mild dish soap and water using an ultrasoft toothbrush, says Kaplan. Abrasives (including baking soda or toothpaste) should be avoided, as these stones are more easily scratched. Should your gemstone show eventual signs of wear, you might consider having it resurfaced by a professional gem cutter—but keep in mind that this will gradually diminish the stone’s carat weight. While Kaplan notes that “the urge to use an ultrasonic [cleaning] machine may be strong,” this device is best avoided: most gemstones—even diamonds—contain tiny mineral deposits, also known as inclusions, that make them more susceptible to damage from the machine’s vibrations. 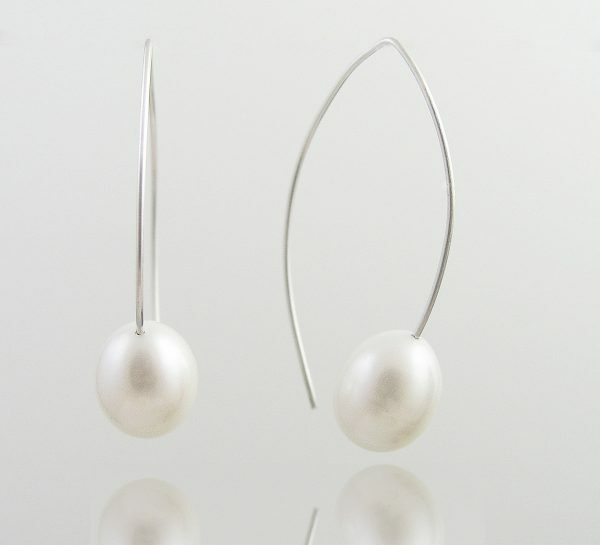 In Claudia Endler’s Pearl on Silver Wire Earrings, a simple design highlights the stone’s iridescent beauty. There’s a classic elegance to pearls. Whether in traditional strand form or as an accent, they offer a luminous glow that can’t be ignored. But their delicate beauty also calls for delicate care: pearls should be cleaned with a soft, damp cloth, and only as needed. Never submerge a strand of pearls, as you run the risk of damaging its silk cord, and stay far, far away from abrasives. Always allow your piece to dry completely before storing. The general rule for pearls is “last on, first off,” as the chemicals in makeup, hair care products, and perfumes—as well as general wear—can damage their iridescent finish. 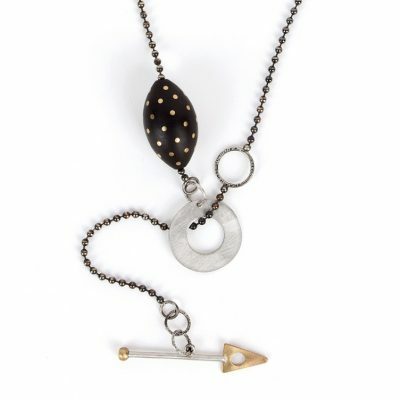 Industrial steel takes on an artful air in Meghan Patrice Riley’s Long Shape Necklace. Best known for its utilitarian applications, stainless steel is finding more favor among jewelry designers, especially in cable chains and earring posts. Not only is the metal resistant to rust and oxidization, but it’s also great for individuals with sensitivities to metals like copper or brass (two elements commonly found in sterling silver). Fortunately, this metal is remarkably easy to clean: using a soft cloth, simply rub with a solution of warm water and soap, and dry completely. 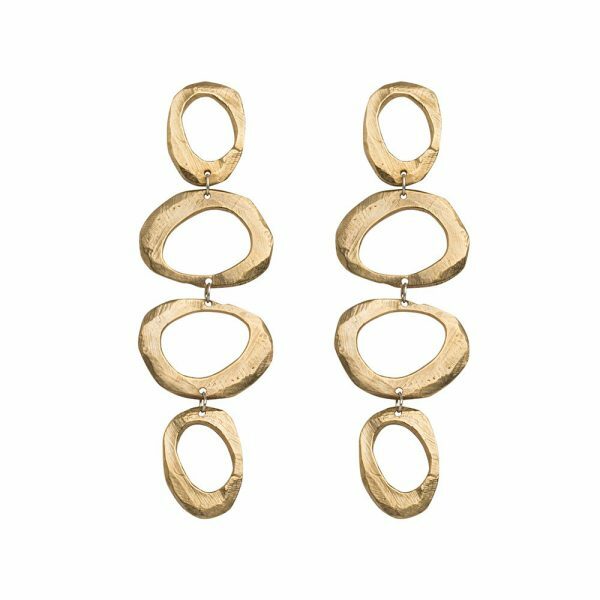 Hand carved into off-round shapes, Ann Chikahisa’s Bronze Mystic Earrings have an alluring gleam. 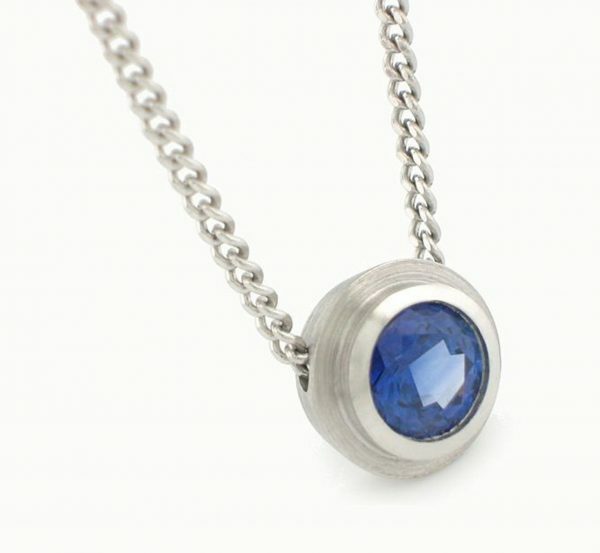 * Avoid wearing jewelry in swimming pools or hot tubs, as the chemicals in both can damage the finish on your pieces. As a general rule, remember to remove your jewelry before engaging in strenuous activities. * It’s always wise to polish your pieces before putting them away for the day, as oils from the skin can increase the chances of tarnish. When storing, separate your pieces into individual jewelry box compartments or pouches to reduce the possibility of tangles, rubbing, and wear. Travel with your adornments tucked inside a jewelry roll rather than tossing them all in the same toiletry bag. * If you want to polish your jewelry while also maintaining the patina in its nooks and crannies, try polishing with a Sunshine cloth: each cloth contains cleansing agents that will restore luster in the places you want it and allow you to avoid intentionally oxidized areas. * Take stock of all materials in your piece of jewelry before cleaning: while one cleansing method might work for earrings with 22k gold settings, it may not be appropriate for the set’s emerald drops or oxidized sterling silver ear wires. * Have your jewelry insured—after all, it is a work of art. Some homeowners and renters insurance policies provide jewelry coverage up to a particular dollar amount; even so, depending on the value of your adornment, you may want to add a separate rider to your policy to protect your piece (and entire collection). * Or maybe you’re an expert on jewelry care and maintenance? Great! It’s still a good idea to bring your pieces to your local jeweler for an annual inspection; there, they will make sure any prong settings are secure and no stones have become loose. Plus, they will typically throw in a deep clean for good measure.